Tuesday night's contract negotiations on a new teachers deal made little progress. 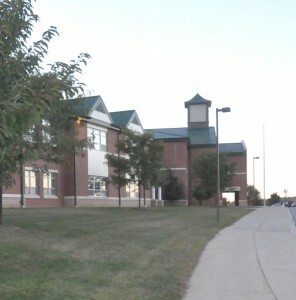 EAST MARLBOROUGH — Negotiators report little progress during Tuesday night’s contract talks between the Unionville-Chadds Ford School District and its teachers’ union. While the three-hour plus bargaining session — with State mediator Richard Stober sitting — apparently didn’t get much past the sides having a “candid” discussion about the reasoning behind each side’s most recent offer, sources suggest both sides are hopeful because of the tone of the talks and are ready to return to the bargaining table in the near future. Going into the meeting, the two sides remained fairly far apart on a number of issues ranging from pay to hours — and still hadn’t agreed to a framework in which their respective offers could be compared on a “apples to apples” basis. It remains unclear whether any progress was made Tuesday night on that front. Even with a such an “apples to apples” comparison, the two sides are still fairly fair apart and both sides reiterated their positions during the negotiations. The teachers asking for an average increase of 4.9% over the four years of the proposed contract, while the school board is offering an average of 1.8% — if you take out the pension and education advancement, the teachers argue their proposal asks for 4.3% per year. Using the board’s numbers, the two sides are almost $15 million apart over the life of the four-year contract — a potential problem just in terms of getting a 2010-11 budget done. If as anticipated, the Act I index rate (the maximum rate at which local taxes can be raised by a school board without the budget being sent to referendum) is 1.4% as expected, it could require large cuts to programs — and possibly teacher layoffs to get under the state-mandated numbers if the new contract adds nearly $4 million to the district’s budget. Even at half that number, sources suggest, which is closer to the numbers being offered by the district, there still might have to be some fairly serious cuts of programs and staff. In addition to the financial issues, there are some issues regarding tuition reimbursement for some categories of education and disagreements about a board proposal to add days to the work year and hours to the work week for teachers. The renewed talks are the latest step in a 10-month negotiating process. The teachers have been working without a new contract since June 30, but both sides are working under the conditions of the previous deal until a new pact can be worked out.